Mac OS X only: You've already heard about the new features and upgrades the latest iteration of Apple's office suite iWork '09 is getting—and now you can give them a test drive. 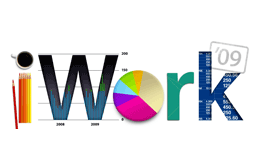 Download the 30-day trial of iWork '09 before you commit to the $129 investment. What are your favourite apps in iWork<? What do you use 'em most for? Post up your devotion to Numbers or Keynote in the comments.